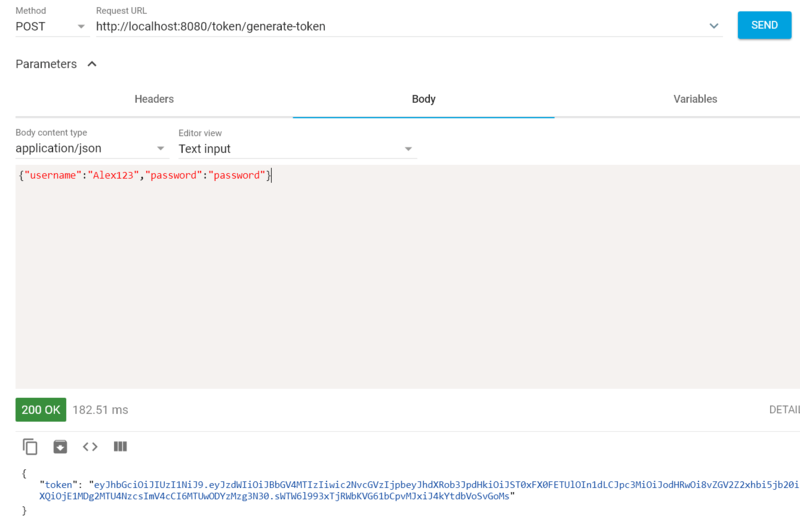 In this post we will be securing our REST APIs with JWT(JSOn Web Token) authentication. We will be using spring boot maven based configuration to develop and secure our APIs with seperate API for signup and generate token. We will be extending OncePerRequestFilter class to define our custom authentication mechanism using JWT.The authentication mechanism can be applied to URLs as well as for methods. 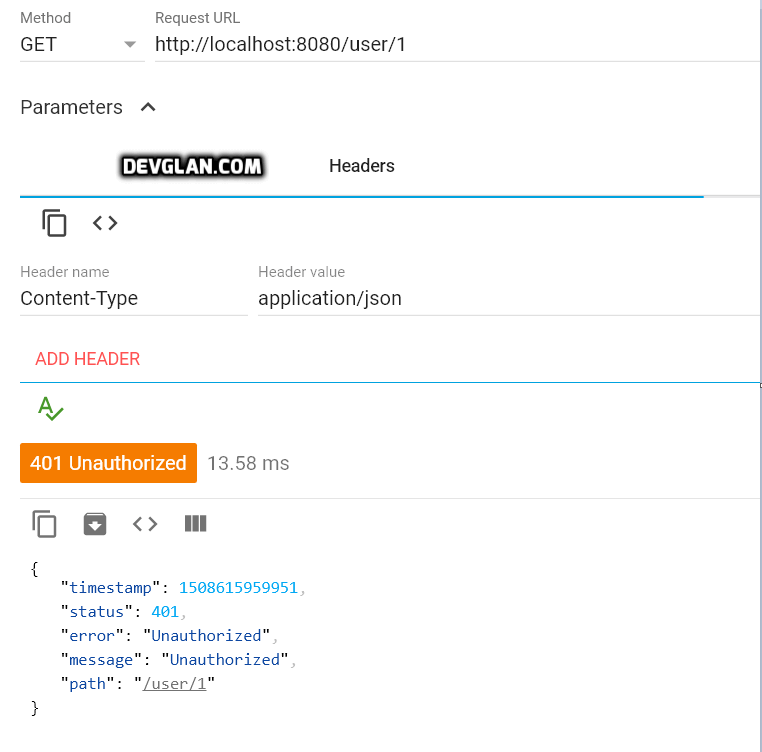 And at the end, we will be testing the implementation with google advanced REST client.Here is an another article of Securing REST API with Spring Boot Security Oauth2 JWT Token. Header has 2 parts type of token and hashing algorithm used.The JSON structure comprising these two keys are Base64Encoded. Payload contains the claims.Primarily, there are three types of claims: reserved, public, and private claims. Reserved claims are predefined claims such as iss (issuer), exp (expiration time), sub (subject), aud (audience).In private claims, we can create some custom claims such as subject, role, and others. Following will be the final project structure that we will be building for our spring boot JWT authentication. Following is the util class to generate the auth token as well as to extract username from the token.Here is the configuration that we want url such as /token/* and /signup/* to be publicly available and rest of the urls to be restricted from public access. Following are the constants that we have used in above implementation. Now let us define our usual spring boot security configurations.We have userDetailsService injected to fetch user credentials from database. Here the annotation @EnableGlobalMethodSecurity enables method level security and you can annotate your method with annotations such as @Secured to provide role based authentication at method level. 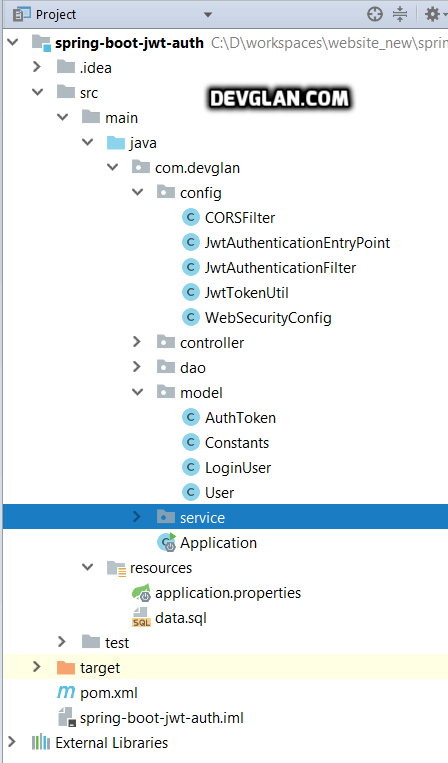 Following is the controller that is exposed to create token on user behalf and if you noticed in WebSecurityConfig.java we have configured this url to have no authentication so that user can generate JWT token with valid credentials. 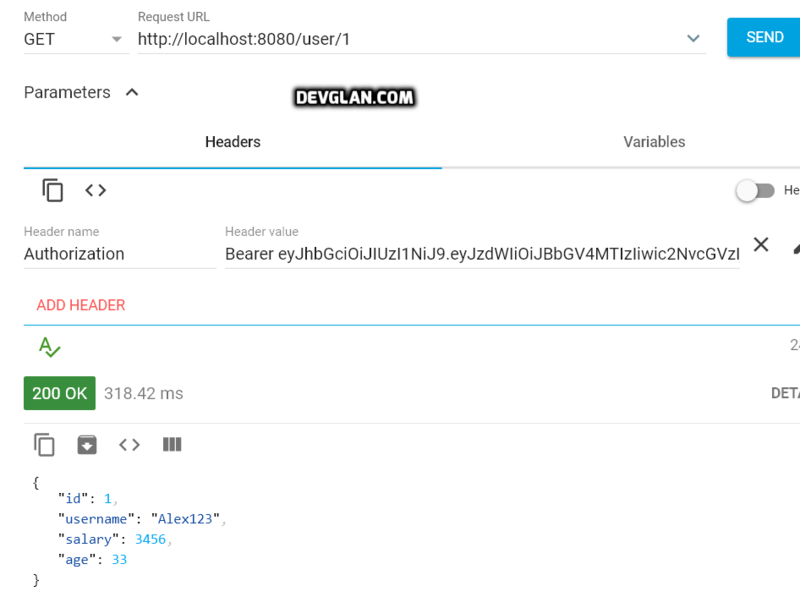 We have very simple REST Apis exposed for testing purpose.Following is the implementation. Following is our entity class. Following are the insert statements that are inserted when application starts. As we have default scripts to pre-populate data in the database for our testing purpose but we can also have an API exposed for user registration. Using this API user can register and use the same username and password to generate token. For this we added following method in our controller class. Once, this is added, we need to remove restrictions on this url for public access. To do so, add below line in our spring boot security config. This will expose following urls for user signup process to generate JWT token. We will be using Advanced REST Client to test the spring boot jwt authentication. I hope this article served you that you were looking for. Source code for this article can be found here on github.If you have anything that you want to add or share then please share it below in the comment section.